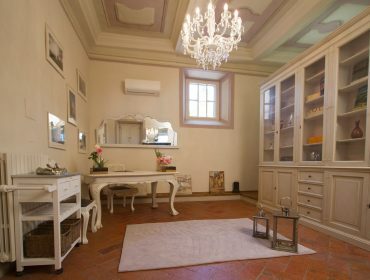 B&B Cortona Suite is a small hotel in the historic centre of Cortona, within the province of Arezzo, located within Palazzo Fierli-Petrella, which dates back to the 15th century. 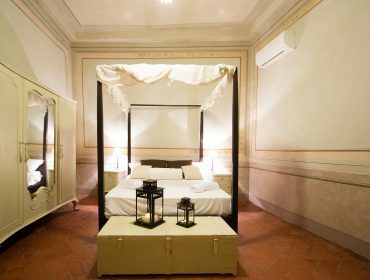 “Baldacchino” Passion Suite (sleeps 2+1) is a suite with wrought-iron four-poster bed, lovely frescoes and travertine marble bathroom with shower, having the possibility to add an extra bed. 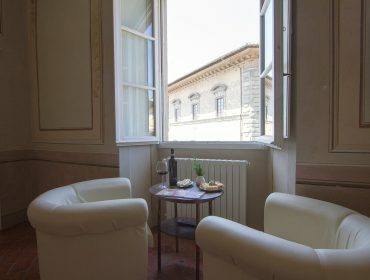 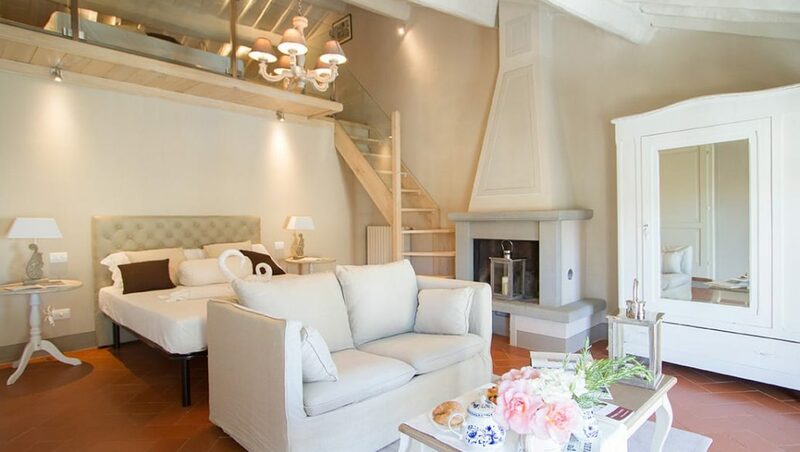 This suite can be connected to the adjoining “Caminetto” Romantic Suite. 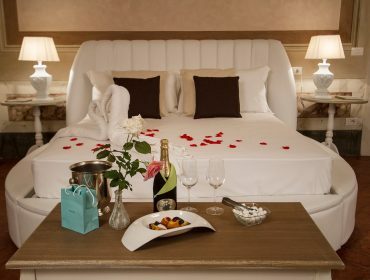 The price of each suite includes a delicious breakfast (gluten-free food is also available), which is served at the bar of the B&B or in the rooms, upon request. 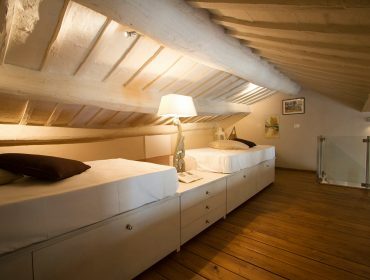 Among the other services offered to guests we find: daily room cleaning, free snacks & drinks in the common hall of the B&B, towels and bedlinen changed every three days. 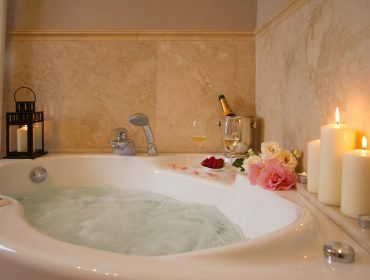 Pets are allowed with a small daily surcharge. 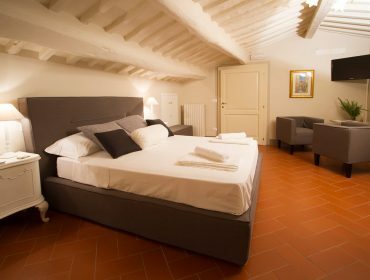 From all the rooms you can enjoy a lovely view onto piazza Signorelli, the real meeting point of the town with all its bars and typical restaurants and venue of many cultural events and concerts. 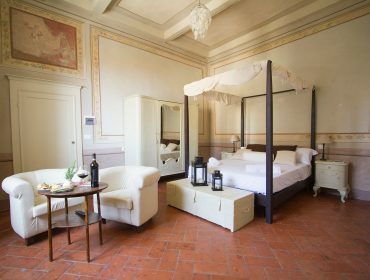 Thanks to its central location, bed and breakfast Cortona Suite is the ideal accommodation for a romantic stay in Cortona and for a comfortable holiday in Tuscany amid history, arts and culture. 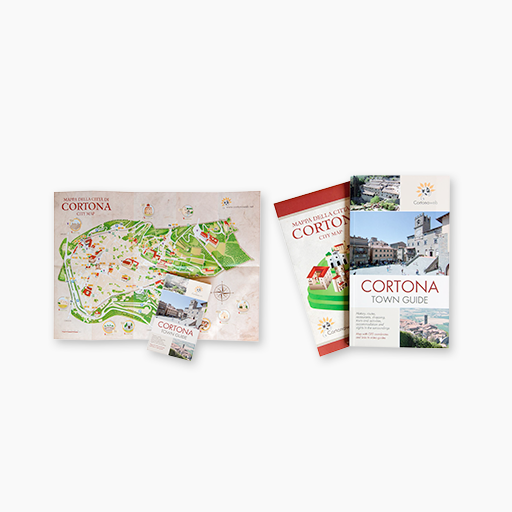 For further information about prices, special offers and reservations, please fill in the availability request form or go to www.cortonasuite.it.